Reverence, grace as leaders gather for Bush funeral - SABC News - Breaking news, special reports, world, business, sport coverage of all South African current events. Africa's news leader. 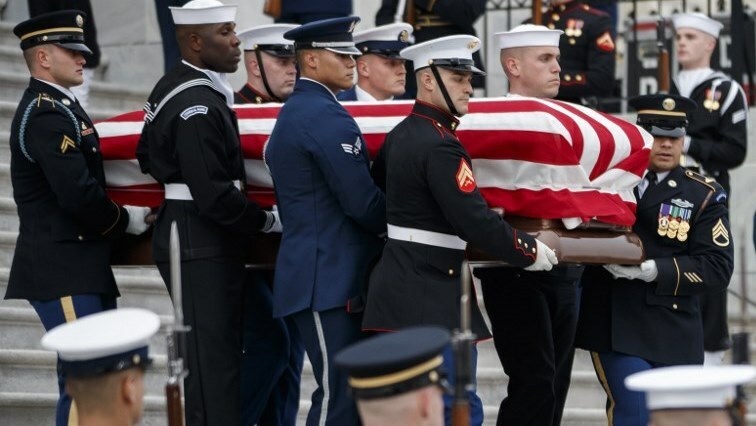 The casket with the remains of former US President George H.W. Bush departs the US Capitol during a State Funeral in Washington, DC. International dignitaries gathered with US leaders Wednesday at the funeral service for George H.W. Bush, a graceful show of unity that allowed Americans to hit pause on the toxic rhetoric that has engulfed Washington and national politics. 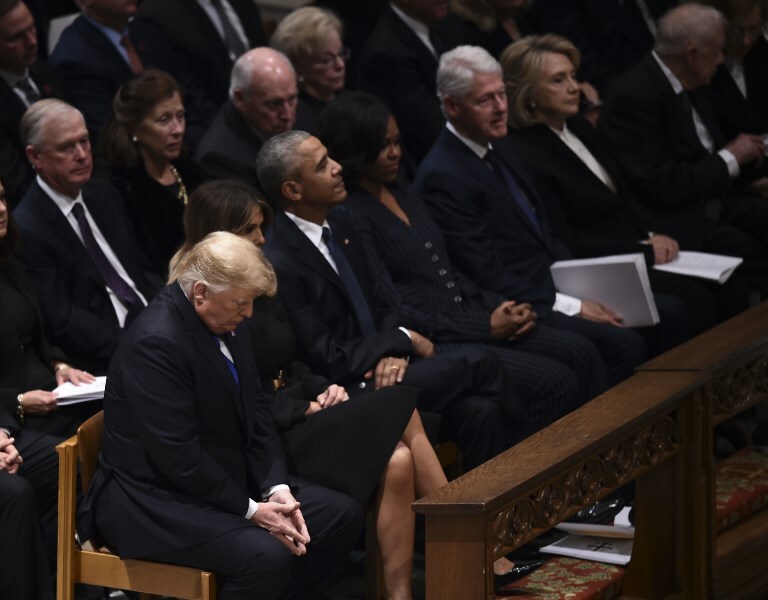 (Front L-R)US President Donald Trump, First Lady Melania Trump, former US President Barack Obama, former US First Lady Michelle Obama, former US President Bill Clinton, former First Lady Hillary Clinton, and former US President Jimmy Carter sit before the funeral service. This entry was posted on 05 Dec 2018,06:08PM at 6:08 PM and is filed under World, Homepage Featured Story Slider. You can follow any responses to this entry through the RSS 2.0 feed. Both comments and pings are currently closed.